In the wake of the 2016 US presidential election, Twitter has been in the spotlight due to the alleged use of the network by Russian bots to influence the election. Facing heavy scrutiny from the US Congress, Twitter recently announced a number of significant rule and policy changes designed to counteract some common uses and abuses of the Twitter system. Twitter announced policy changes on February 21, 2018 with rules going into effect 30 days later on March 23, 2018. These policy changes are aimed at reducing the influence of spam across Twitter by limiting the ability of multiple twitter accounts to coordinate the spread and amplification of certain Tweets. Twitter’s policy changes impact all Twitter users – not just the bad actors. So whether you are a Russian bot farm operating in St. Petersburg or an upstanding small business trying to market on social media, you are now subject to Twitter’s new rules. This means many common and effective tweeting practices relied on by legitimate Twitter users are no longer allowed. For instance, if you manage more than one twitter account – you can no longer post the same or similar original content to those accounts. This limitation applies regardless of whether the Tweets are published to Twitter at the same time, or are scheduled/queued for future publication. If you’re used to simultaneously publishing or scheduling tweets across multiple twitter accounts, you’ll no longer be able to do this. Twitter removed this option from TweetDeck and all apps must follow by March 23. Additionally, Twitter is now stepping up enforcement of other policies related to duplicate content. Twitter rules prohibit duplicate updates on a single account. This rule was previously only loosely enforced by Twitter. For instance, Twitter previously blocked identical posts to the same account only if the posts were attempted within the same 12 hour period. Twitter is now poised to enforce this policy much more aggressively by restricting all duplicate content posting, even if it the posts are made even days or weeks apart. If you are like many major brands, and recycle the same tweet more than once on a single Twitter account – you’re now in danger of suspension or termination from Twitter. How do these changes impact your use of dlvr.it? Most importantly, our goal is to help our users make sure they are playing by Twitter’s new rules. We want our help our users avoid any problems with Twitter that could lead to their accounts being suspended or blocked. To that end, we’re making some changes to dlvr.it and the way we handle posting to Twitter. We’ll be rolling out these changes next week. — You will no longer be able to connect more than one Twitter account to a single RSS feed for automated posting. — If you have any feeds set up for automated posting to more than one Twitter account, we’ll deactivate posting to Twitter. — We are working on tools to enable you to post the original content to a single account and then retweet out to other accounts you own. This will be available soon. Stay tuned! — When posting or scheduling tweets, you’ll be limited to posting or scheduling that update to a single twitter account at a time. — You may build another, differentiated post for posting to another Twitter account. — We’ll no longer support automated recycling of original posts to Twitter via EverQueue. — You will not be able queue additional EverQueue items for your Twitter accounts and any existing Twitter EverQueue posting will be deactivated. — We’ll continue to support EverQueue posting to Facebook and other social networks. — We will limit the practice of automatically including hashtags on Tweets. — You can continue to manually add hashtags to posts, However, the automated addition of hashtags as prefixes or postfixes to Tweets will be deactivated. We understand these changes may not be welcomed by all of our users. But the new Twitter policies apply evenly to all Twitter users and apps – even if you’ve been responsibly using Twitter for upstanding purposes. The goal of these changes to dlvr.it is to ensure all our users continue to play by Twitter’s evolving policies. There may be some pain in the near term as we all adjust to the new Twitter rules. In the long term, these updates may result in a better Twitter experience for law abiding Twitter users. 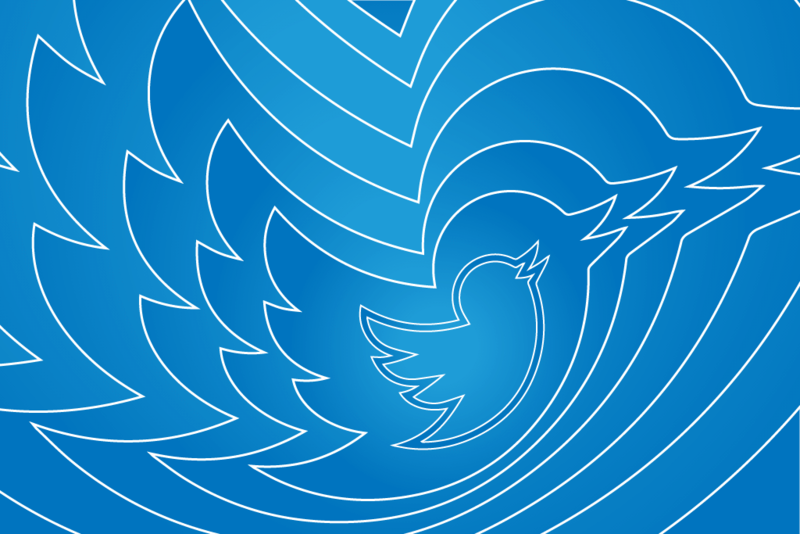 Expect adjustments and tweaks to Twitter’s policies as these new changes take effect. We’re closely monitoring the situation and will be updating dlvr.it’s features as Twitter tweaks and clarifies their policies. We’ll be making announcements in the coming days and weeks regarding some fresh new features to help our users navigate the new Twitter landscape. Stay tuned! We’d love to hear your thoughts on the Twitter policy changes. Will these new rules result in a better Twitter experience? Will these policy changes keep unsavory actors from gaming Twitter? Let us know what you think in the comments below. As a blogger on social media, independent online researcher and volunteer online activist, I had already noticed the TweetDeck changes — and a few other other platforms with automated share settings. I haven’t checked all of them yet but have it on my list. Admittedly, the changes will add time to sharing / content distribution, but mostly they are confusing and will be until I internalize the new routines. Not so long ago, I rebuilt my Rube Goldberg system. Now I’ll need to do it again. Your post comes as a welcome reminder and help across the board. So glad that you found this post helpful! I had to read through the changes a few times myself. So they are saying you can’t tweet the same tweet twice ever? No matter how far in the future? Because Social Oomph is saying every 24 hours. Twitter’s document doesn’t specify. I understand it is very confusing. Based on Twitter’s documentation, all we know is repeating a post is a direct violation. They haven’t released any other information indicating if this is based on a time limitation. They have stated that Retweets are acceptable as long as they aren’t spammy. I recommend erring on the side of caution in this case. Quick question: Do any of these changes affect what I see on TweetDeck? I’ve filed tickets for well over a month now that every since these changes were announced, I can no longer see tweets on TweetDeck from ANYONE (including myself) who types a tweet from Web Twitter (Twitter.com). I can see tweets typed on phones, other apps, and from TweetDeck, but many accounts are now invisible to me when they issue a tweet from the Web directly. Help? It’s been about 45 days of this now. Great question! Yes, these changes have affected TweetDeck. Twitter implemented these changes on TweetDeck before the deadline date. This is likely when you started noticing those changes. So I’ll no longer be able to see anyone’s tweets who type from Twitter.com? Forever? From now on??? There’s no fix for this? Unfortunately, if Twitter maintains this set of terms, they will no longer allow you to see anyone else’s Tweets through TweetDeck. They have applied this to all third party applications. You can only automate Retweets from your own accounts. I hope that this clarification helps. Perhaps I wasn’t clear. Twitter owns TweetDeck, right? I’m referring to tweets sent FROM Twitter.com, that no longer show up on TweetDeck. Twitter.com is a site, not an app, right? I’m not referring to retweets at all. I’m saying I’m not seeing ANY tweets on my TweetDeck that are sent from Twitter.com. I do see them if they’re sent from phones, tablets, other apps, but I am NOT seeing tweets if they’re written from Twitter.com. I’d like to take this discussion out of these comments because we’re getting very specific to your account. Because this is related to TweetDeck, though, I would recommend reaching out to their support. Here’s a link to their FAQs: https://help.twitter.com/en/using-twitter/tweetdeck-faqs. If you’d like to discuss this more on a different venue, you can reach out to me at support@dlvrit.com. I asked what you were going to do on Twitter when the announcement came out. Would have been nice to hear this there. Anyway, I look forward to the feature that lets you RT from other accounts. Another feature that you could build within the rules would be for an RSS feed to randomly select from a list of Twitter accounts to do the post. Then, you could have it RT from the other accounts that didn’t do the native post. This way the RSS feed gets spread across multiple accounts with natural posts and Twitter2 and Twitter3 in this scenario don’t just become accounts that RT everything that Twitter1 tweets. Basically, the RSS feed could choose from a “pool of accounts” and then the RTs would come from whoever is in the pool of accounts that didn’t post the original. Of course, you’d ideally put some random time between RTs from the accounts in the pool. To clarify, we will not be allowing RT from other accounts. Twitter has specifically stated that anything other than Retweeting from a handle that you control to a specific number of handles that you control is considered abusive. This is a clear violation of Twitter rules. Thank you Dlvr.it Team for letting me know i will cut the ad spend from all our client accounts too! Pointless now lol and like that 100 client accounts gone and a million $ plus ad spend a week pulled will be moving to messenger or more youtube i guess i don’t know how other agency’s will cope but its the end of an era i guess very sad 😢 Twitter was my favorite platform for sharing too. And we are small what will the big brands do i have no idea they depend on influencers to share there content and those click to tweet plugins on your website to share your page can no longer be pre populated with a tweet to share as it will now vialate there new terms of service with these new rules. Anyhow very sad day for Twitter. I agree that this set of changes is difficult for many businesses. So sorry to hear that it has so significantly impacted your business. I hope that our article helped to clarify a few of these issues for you. It’s good that automated duplication is to be restricted, but what about Tweets that say “Just arrived at station” or similar? They are legitimate and likely to occur daily for commuters, say. I agree that this needs a lot more clarification by Twitter. I have read the Twitter announcement you referenced, but am unable to see information regarding this in the Twitter post. I might have overlooked it, but could you direct us to the exact statement in that post where it talks about this? This is actually something that we received more direct communication on from Twitter. This is not directly stated in the announcement, but they did explain that this would no longer be permitted. However, their documentation has suggested that they will allow Retweeting. I hope that this helped! Looking through some of our feeds, I have noticed that dlvr.it is actually skipping over a duplicate post. As an example…if we have a job ad that gets posted on the 1st of the month, normally it would expire on the 30th. If the ad gets renewed by our customer, we repost the ad (same URL with the current date as the post date) for another 30 days. What would be the correct way to have this post show up in our Twitter account? I’d like to address your question through our support system. Can you please send an email to support@dlvrit.com? Can you show us the actual email? Because as you say, the public announcement does not say dupe tweets from *single* acct are banned. Really wish Twitter was clearer, more upfront about this. Resharing same tweet is widely-used practice. I read and re-read Twitter’s statement on this, too. The public statement says this applies to “multiple” accounts. It never says you can’t send dupe tweets from the same account. Have reached out to Twitter support and @yoyael for clarification. Just wondering how these new twitter rules would affect me. I currently share multiple RSS feeds on one twitter account that posts weather warnings from each state of Australia. I have had written permission from the Australian Bureau of Meteorology to share their warnings rss feed. I use hashtag prefixes provided by your application to show where the warning is coming from. Are you getting rid of this feature completely or will I be able to at least use plain text instead of prefixes (however this would make the posts go more unrecognised)? And most of the warnings are obviously republished in the same way all the time. Like they will always have the same links and similar wording when published. Twitter has indicated that hashtag spam is one of its main targets. With that in mind, dlvr.it is eliminating hashtag prefixes and suffixes. You will still be allowed to use inline hashtags, which are basically hashtags that will replace text within a post. I hope this helps! I have a couple of FB accounts – a personal one and an author one. At the moment they are set up to automatically tweet my news and sometimes I put the same piece of news on both accounts to give a chance for all my friends / followers to see it. (Not huge numbers – c 300 followers) Does this mean that I need to disable the function on one of these accounts to avoid a duplicate posting to Twitter? Twitter has indicated that duplicate content is a direct violation of its Terms of Service. Therefore, if this is duplicating content, it would be advisable to remove the potential duplicates in some way. Twitter has indicated that the terms of service are targeting the same posts by multiple users controlled by a single person. That being said, they haven’t addressed the issue of Click to Tweet buttons and how they will be addressing this problem. That will be up to Twitter. Hope this helps! This is a bad decision by Twitter if you ask me. They finally are showing some healthy growth, business-wise and this isn’t going to help. Dlvr.it customers now have to either curate everything manually, look for way more feeds to fill the gap or ditch accounts. Twitter offers a stage and verifies accounts of people who grew their Audience with bought followers. People who claim to be Social Media Experts like @TamaraMcCleary & @dannysullivan with their +100K fake followers. I understand these measures are to fight automation. But they are fighting the wrong battle and pushing away the ones that are able to get Twitter in the lift. Their battle should have been (years ago) against the so-called Zombie accounts. The fake accounts that are killing every Social Network. Twitter is not fighting automation, but is really fighting spam. It’s certainly difficult to separate the two in some cases. dlvr.it is working on solutions to make sure that users are playing by the rules while they’re still able to make their posts easily. I hope that this post helped clarify the rules a little bit more for you. This is a continuation of the rules that were introduced at the end of 2017 in order to carry out the following/unfollowing as manual as possible. So I disagree with you this isn’t a measure to fight automation. But whether it is Twitter’s intention to prevent automation or not, this rule will saddle many people with time-consuming work and especially businesses making use of Twitter to market their products/services. What about syndicating content? I work for an organization that will tweet the same content to different accounts from groups like the Associated Press; it’s just what our readers are clicking. Are we going to be stopped from doing this? Unfortunately, Twitter has stated that sending the same content to multiple handles by a single user is not allowed under the new rules. They have stated that Retweeting is acceptable as long as it is done in a well-controlled fashion.